Last Saturday was my husband's birthday. As it fell on the Good Saturday, we waited until the Easter Sunday to celebrate. 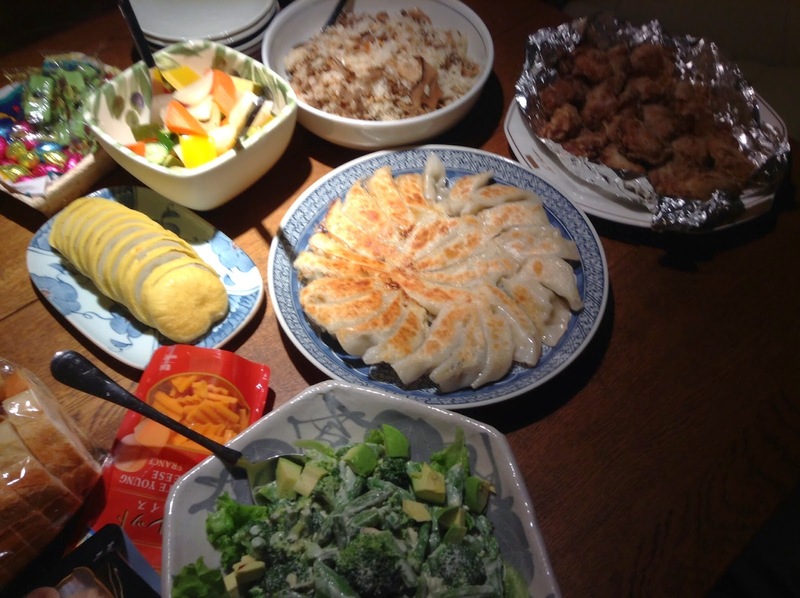 Our tango (and Gyoza) friends came over, to eat, drink, talk and laugh. Making Gyoza together is now a staple when we gather. 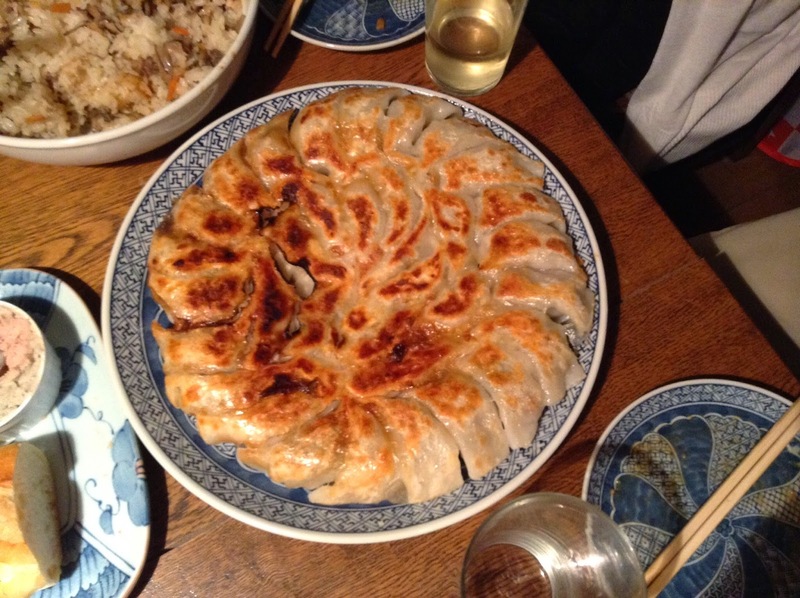 We make dumplings together, and Gyoza Maestro cooks them. How lucky we are to have him in our circles! A new feature of the party this time was a violin duo of me and T.
and I wanted to have my husband hear me in a duo, so I asked T to help. I rarely have a chance to play the violin in front of anyone, so I was very nervous and my heart was pounding like never before. But it was fun! And we managed to play better than ever. My husband had apparently been waiting for our play to fall apart, but , sorry!, we betrayed him. We also had A who is a ballerina show off her skills with point shoes. Amazingly, she told us her feet don't hurt because she is standing with her stomache and side muscles. Wow! It was really a special treat to see real ballet up so close. For us, surviving to this birthday alone was special, and being able to celebrate it with close friends made us very happy. Thank you friends!